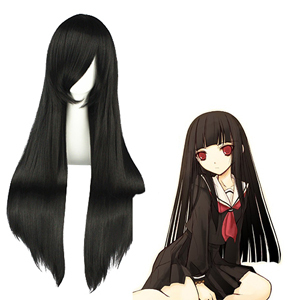 Hell Girl (Japanese: 地獄少女 Hepburn: Jigoku Shōjo? ), also known as Jigoku Shōjo: Girl from Hell, is an anime series produced by Aniplex and Studio Deen. It focuses on the existence of a supernatural system that allows people to take revenge by having other people sent to Hell via the services of the mysterious titular character and her assistants who implement this system. Revenge, injustice, hatred, and the nature of human emotions are common themes throughout the series.